The Writing Life: Is Giving Away Content Valuable? Is Giving Away Content Valuable? It is completely counter-intuitive to give away valuable content. Often new or unpublished writers will ask whether they lose their rights or will be hurt or hindered if they give away their written material online. While I understand their fears of their idea being stolen, I reassure them from my personal experience of years in publishing, I have never seen it happen. Yes, I've seen people pitch similar ideas but I've never had one of my exact ideas stolen from either my work online or my printed writing. I've actually been too busy writing and producing new material to spend a lot of time thinking about it, guarding my work and even worrying about it. In many ways, it's the complete wrong focus for a would-be writer. Instead, I'd encourage them to be focused on learning the craft of storytelling and how to shape their words into compelling prose. It's a better use of their time and energy. If you have written something that is excellent and valuable--whether fiction or nonfiction, you can give that information away--and attract readers. For example, I'm giving away my Straight Talk From the Editor Ebook in exchange for giving me your first name and email address. Or I'm giving away a 90 page Ebook about book proposal creation with the same exchange. Or maybe you've written an excellent novel and are trying to figure out how to get attention for it. Could you achieve that attention through giving it away? Book Marketing Expert John Kremer tells the story of Brazilian author Paulo Coelho who for years has been an apostle of free Internet distribution. "He figures they sell more books this way. 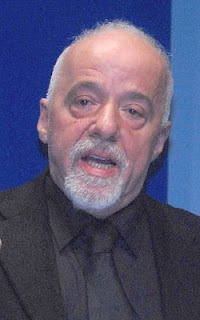 In 1999, best-selling author Paulo Coelho, who wrote The Alchemist, was failing in Russia. That year he sold only about 1,000 books, and his Russian publisher dropped him. But after he found another, Coelho took a radical step. On his own website, launched in 1996, he posted a digital Russian copy of The Alchemist." "With no additional promotion, print sales picked up immediately. Within a year he sold 10,000 copies; the next year around 100,000. By 2002 he was selling a total of a million copies of multiple titles. Today, Coelho's sales in Russian are over 10 million and growing. "I'm convinced it was putting it up for free on the Internet that made the difference," he said in an interview at the World Economic Forum in Davos." "Coelho explained why he thinks giving books away online leads to selling more copies in print: "It's very difficult to read a book on your computer. People start printing out their own copies. But if they like the book, after reading 30-40 pages they just go out and buy it." By last year Coelho's total print sales worldwide surpassed 100 million books. "Publishing is in a kind of Jurassic age," Coelho continues. "Publishers see free downloads as threatening the sales of the book. But this should make them rethink their entire business model." Now Coelho is a convert to the Internet way of doing things. His online e-mail newsletter, published since 2000, has 200,000 subscribers." While this story about Coelho is a great success story in the publishing world, make sure you see one of the keys--brilliant storytelling is foundational and understanding the needs of the audience or market--then meeting that need with excellent writing. All too often, I've seen people attempt to give away material which does not fall into this excellent category and does little to help them in their audience building intent. As I've often cautioned in these entries on The Writing Life, it's a tricky balance between learning the marketing skills and learning the craft of writing. You're absolutely right though, that if you post and it's not 'good' yet then it could be counter-productive. Giving way is a very good idea. How would you suggest an unknown author with a traditionally published book goes about doing same?